It’s called a romance scam, and this devastating Internet crime is on the rise. Victims—predominantly older widowed or divorced women targeted by criminal groups usually from Nigeria—are, for the most part, computer literate and educated. But they are also emotionally vulnerable. And con artists know exactly how to exploit that vulnerability because potential victims freely post details about their lives and personalities on dating and social media sites. In the case of the Texas woman who lost everything, it was her strong Christian faith—which she happily publicized on her Facebook profile—that gave “Charlie” an incredible advantage when he began courting her. The scammer’s intention is to establish a relationship as quickly as possible, endear himself to the victim, gain trust, and propose marriage. He will make plans to meet in person, but that will never happen. Eventually, he will ask for money. 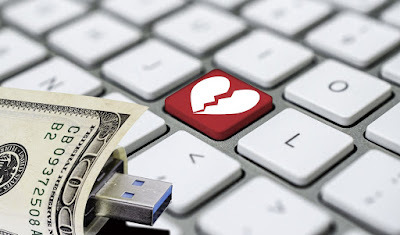 According to the FBI’s Internet Crime Complaint Center (IC3), which provides the public with a means of reporting Internet-facilitated crimes, romance scams—also called confidence fraud—result in the highest amount of financial losses to victims when compared to other online crimes. In 2016, almost 15,000 complaints categorized as romance scams or confidence fraud were reported to IC3 (nearly 2,500 more than the previous year), and the losses associated with those complaints exceeded $230 million. The states with the highest numbers of victims were California, Texas, Florida, New York, and Pennsylvania. In Texas last year, the IC3 received more than 1,000 complaints from victims reporting more than $16 million in losses related to romance scams. She wired him $30,000. A day passed and then another, and she didn’t get her money back. “I still thought everything was okay,” she said, “just that he was the victim of some bad luck.” And then Charlie needed another $30,000. For the next two years, the woman believed Charlie’s stories after each new request for funds. Everything he said made sense, and, after all, they were in love. Eventually, the woman’s financial adviser became alarmed about her steadily dwindling accounts and, suspecting fraud, urged her to contact the FBI. The subsequent investigation led by Beining resulted in the arrest of two Nigerians posing as South African diplomats who had come to the U.S. to collect money from the woman on behalf of Charlie, who claimed he was paid $42 million for a construction project he completed in South Africa. The woman believed she would be paying to have the money—including the repayment of her $2 million—transferred to the U.S. from South Africa, where Charlie was still supposedly working. In July 2016, the two Nigerian co-conspirators pleaded guilty in connection with their roles in the scam, and a federal judge sentenced them each to 36 months in prison last December. But Charlie is still at large, presumably in Nigeria, and there may be little hope of bringing him to justice. Even now, though, she remains conflicted. A part of her still wants to believe that Charlie is real and that their relationship was real—that the e-mail exchanges about church and the phone calls when they sang together and prayed together meant as much to him as they did to her. She even holds out hope that one day Charlie will repay her, as he promised to do so many times. Otherwise, there is no doubt that he is a heartless criminal who robbed her and broke her heart—and who is almost certainly continuing to victimize other women in the same way. If you suspect an online relationship is a scam, stop all contact immediately. And if you are the victim of a romance scam, file a complaint with the FBI’s Internet Crime Complaint Center.